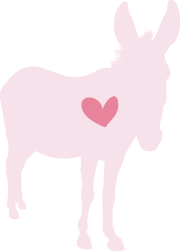 Heart to Heart with Donkeys – Donkey Welfare With Heart Inc. Happy New Year and a hearty hee haw to everyone. Daffodil, Pepe and Aye Carumba! Donkey Welfare With Heart Inc. Registered charity deductible gift recipient.